Dan Peterman has exhibited widely nationally and internationally. 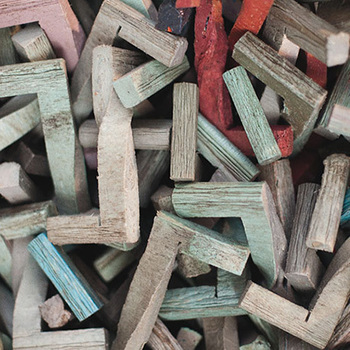 Among his diverse projects, Peterman has used recycled materials to produce starkly minimal works that function as elegant sculpture, functional objects, and critiques of environmental waste and neglect. 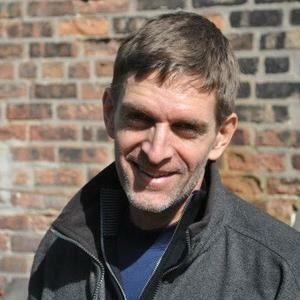 Peterman is also a founder and director of the Experimental Station, an innovative, Chicago-based incubator of small scale enterprise and cultural projects (www,experimentalstation.org). He is recipient of University Scholar Award from UIC; Richard H. Driehaus Foundation, Lewis Comfort Tiffany Foundation. Peterman is represented by Galerie Klosterfelde-Berlin, Germany and Andrea Rosen Gallery, New York, NY. His works have been exhibited at the Museum of Contemporary Art, Chicago, IL; Venice Biennal, Italy; Vanabbe museum Kunsthalle, Basel, Switzerland; Smart Museum of Art, University of Chicago, IL; and Documenta 14, Kassel & Athens; among other venues. Artist Dan Peterman and physicist Heinrich Jaeger discuss how their collaboration generated the sculptural installation Slipping and Jamming: Variable Installation of Z-Forms, on view in the William Eckhardt Research Center through November 30, 2017.